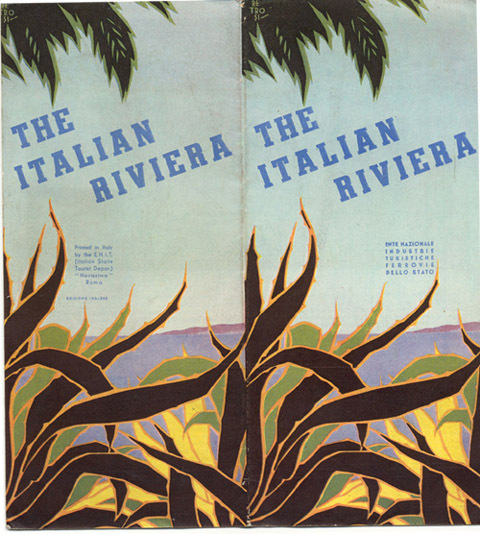 Travel brochure for the Italian Riviera, 1934. Published by the Ente Nazionale Industrie Turistische (ENIT - Italian State Tourist Department) and the Ferrovie dello Stato (Italian State Railway). Signed "Novissima - Roma."